US Local Stock, USPS Fast Shipping~ Description: This is a SATA network adapter for the PS2 PlayStation 2 console. It will allow you to connect a SATA ( not ide ) HDD, 2.5" or 3.5" in varies capacity: 40GB, 80GB, 120GB, 160GB, 320GB, 500GB,750GB,1TB, 1.5TB, 2TB of numerous brands, such as Toshiba, Maxtor, Western Digital, Seagate and more. This adapter has no network function and only allows you to connect a SATA hdd to your PS2 console and use loader to play from HDD without discs. Features:. What we have here is an original Network Adapter for the Sony Playstation 2 in good condition. Check out the pictures. Sony Playstation 2 Network Adapter. Good luck! 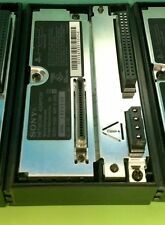 OEM Genuine Sony PS2 Network Adaptor Modem Combo Adapter Playstation 2 HDD Japan. Condition is Used. Shipped with USPS First Class Package. 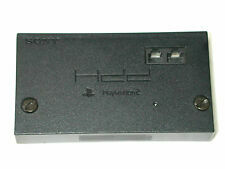 HDD SATA Hard disk network adaptor for Sony PS2. Please take a look at the other items I have for sale!! Movies, games, books, toys, clothes and much, much more!! ✩ ✰ ✫ ✬ ✭ ★ ✪ Adult owned, always clean. ✪ ✩ ✰ ✫ ✬ ✭ ★. PS2 HDD SCPH-10281 Official Network Adapter Hard Drive Online Modem Genuine SONY. Condition is Used. Shipped with USPS First Class Package. Playstation 2. Network Adapter. Light Scuffs On Outside. Continental USA only. This is a used item so it has minor wearing from use ad age. This is made for the Playstation 2 and is the network adapter for the internet. Original Sony Network Adapter Modem Playstation 2 PS2 SCPH-10281 OEM . Condition is Used. Shipped with USPS First Class Package. WE DESCRIBE WHAT WE KNOW ABOUT THE PRODUCT AND YOU BUY UPON SPECULATION AT YOUR OWN RISK, PERIOD. Trending at $18.97eBay determines this price through a machine learned model of the product's sale prices within the last 90 days.